Summer is almost here and the weather is just beautiful. Cool off in the backyard with an outdoor pool with the family while enjoying the sunshine. 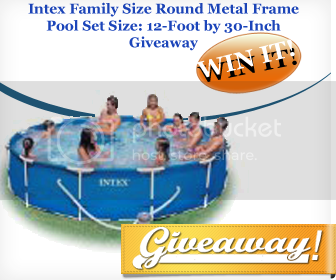 One (1) lucky reader will win the above mentioned Family Size Pool! Contest is open to US only, 18+ (ends May 16th, 2013 at 11:59pm EST). All entries will be verified. Winner will have 48 hours to respond to claim their prize. Good Luck! I want to win this for my family to get in to cool off and enjoy some water fun on hot summer days.